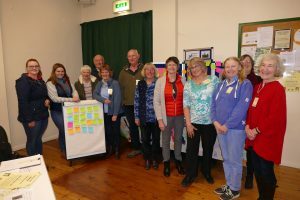 The importance of community support was stressed, not just in terms of fundraising but in the community demonstrating that they wanted the St Sampson Unlocked project to go ahead. The meeting then had a break, with more cake, and a short quiz to see how much people knew about St Sampson’s Church. (some were more knowledgeable than others! )There were questions about the 5th C memorial stone in the churchyard, St Sampson and his possible monastery at South Hill, Trelawney and George Symons recipient of the George cross. Everyone was asked why St Sampson’s church was special to them and answers ranged from; being baptised there and having family connections. That it’s a special, peaceful place, a spiritual place. That it has immense historical importance and is an important building. That it as a focal, iconic place and the heart of the community. That it has a thriving congregation and is part of the communities’ history. 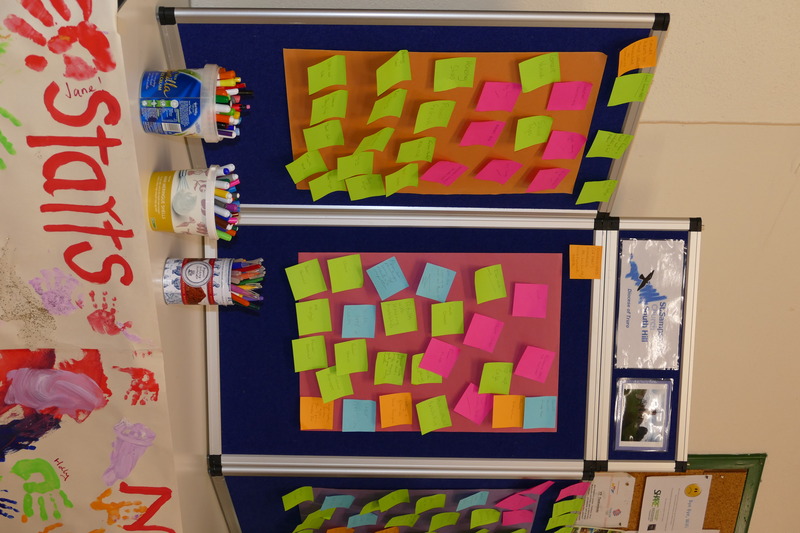 There was then a brainstorming session on ideas for community use which raised over one hundred suggestions! The best suggestions earned a gold coin (chocolate) and piles of wrappers were scattered over the tables! 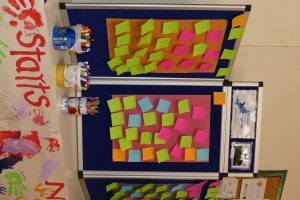 The ideas Included: a venue for various art and music events, a community meeting place for many different groups and clubs, markets and exhibitions, astronomy and wildlife events, coffee mornings, lunches, memory café, history events and information, school trips and a learning centre for various groups. An amazing response. An update was given on what has happened so far regarding proposals for the work needed to make the building more useable for community use, which would include: replacing a failing ceiling, re slating the roof, fixing the damp in the tower, repairing the windows and masonry, installing glass screens in the tower and the Manaton chapel, installing a toilet and mini kitchen, replacing the floor and putting in a new heating system, the cost for this being in excess of £500,000. It was explained that outside funding bodies would be applied to for the majority of this. But the community must demonstrate a commitment to support the project to access much of this funding. Some good news, St Sampson’s Unlocked project has recently received a grant of £1795 towards development costs and the costs of the meeting. The fundraising and community engagement team was introduced; called CRUX – Cherished Restored Unlocked Church – made up of people from across the community. An explanation of how easy fundraising could bring in much needed funds was given; if anyone would like to join this to raise funds through online shopping please go to https://easyfundraising.org.uk/causes/stsampsonschurch. It really is easy and costs you nothing. 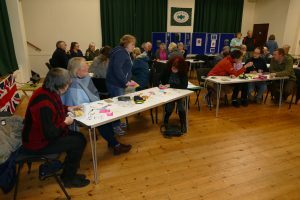 The meeting finished with questions, where people were reassured that the pews would not all be removed, that some outline plans would hopefully be available soon and at the moment the timescale was still flexible. People left the meeting in a supportive frame of mind chatting about ideas and enthused with the challenge ahead.